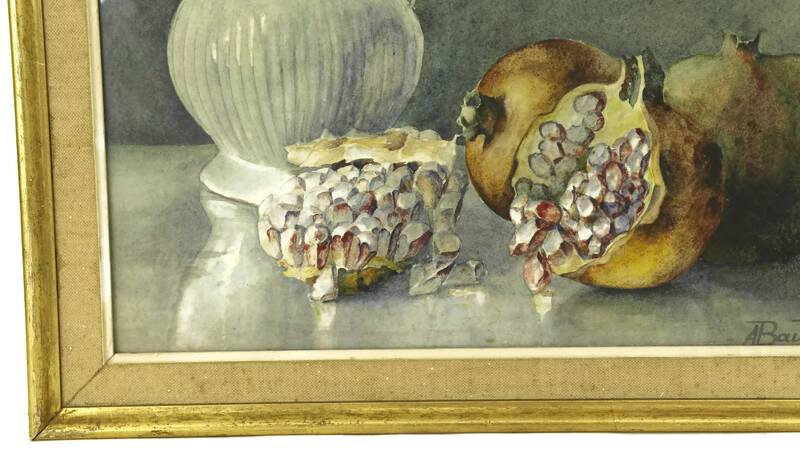 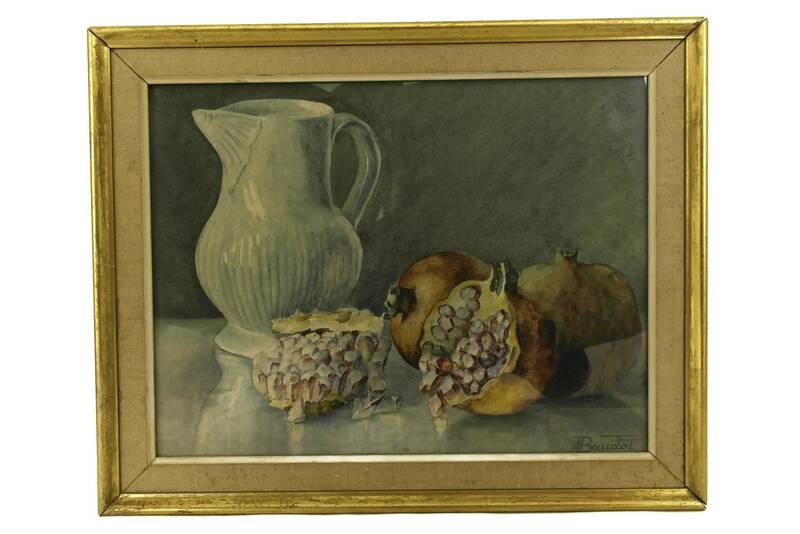 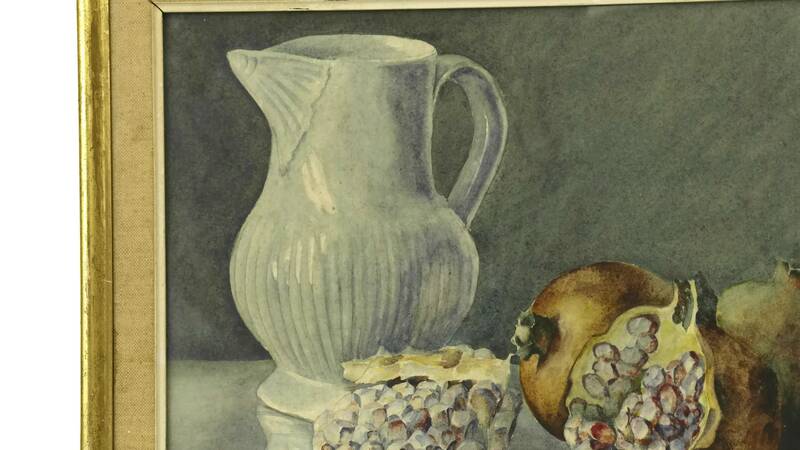 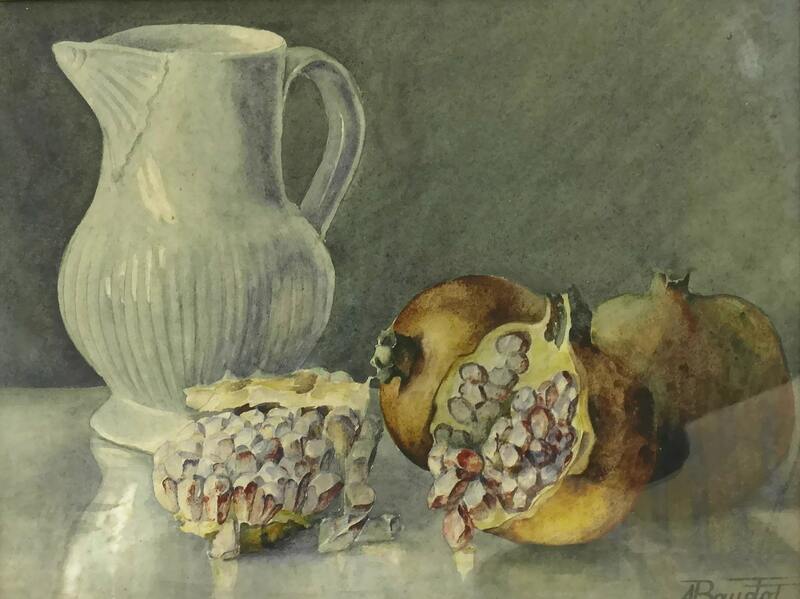 A charming vintage French still life watercolor painting featuring ripe pomegranates and a large water pitcher. 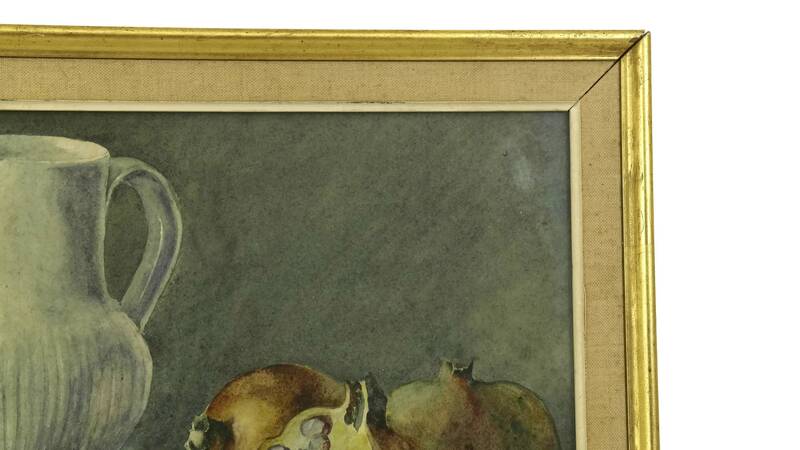 The original art has been painted in a cool palette of blues with warm brown and red accents. 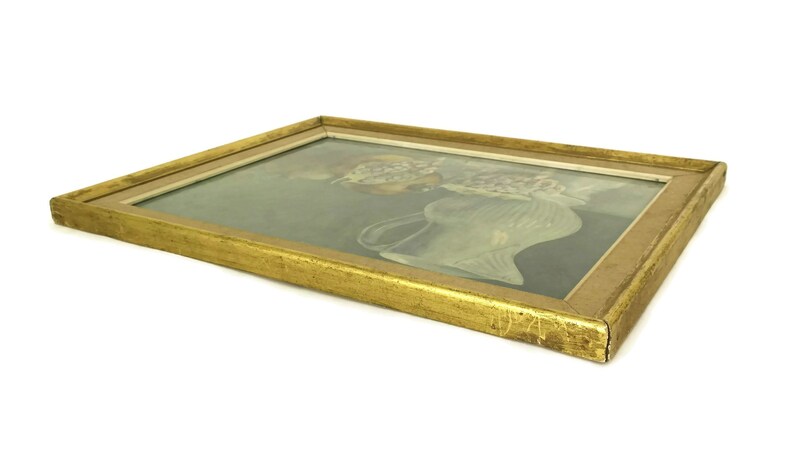 It has been signed by the artist A Baudot and framed under glass in a gold tone wooden frame. 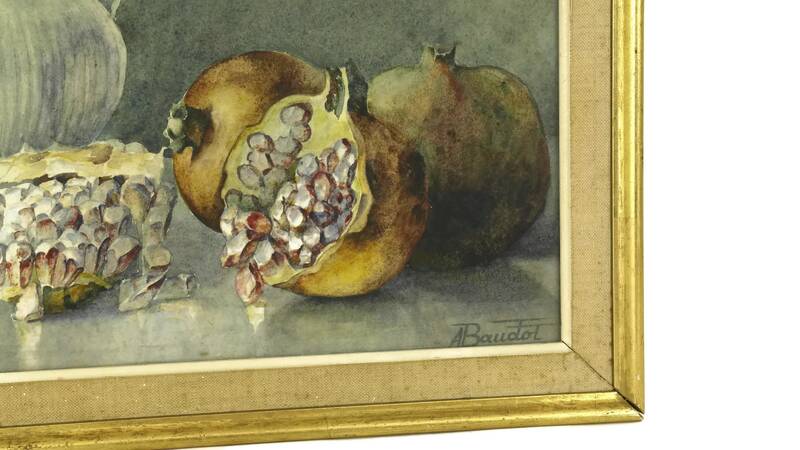 A lovely accent for a kitchen wall decor. 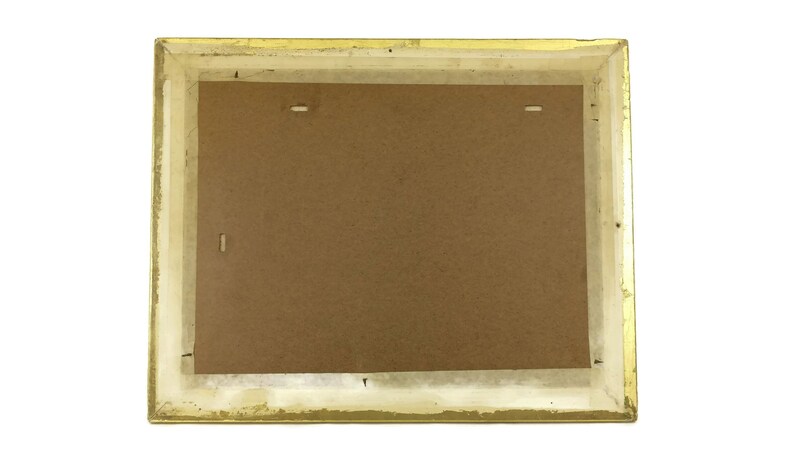 The Frame: 16.5" Wide x 13" High (42 cm x 33 cm). 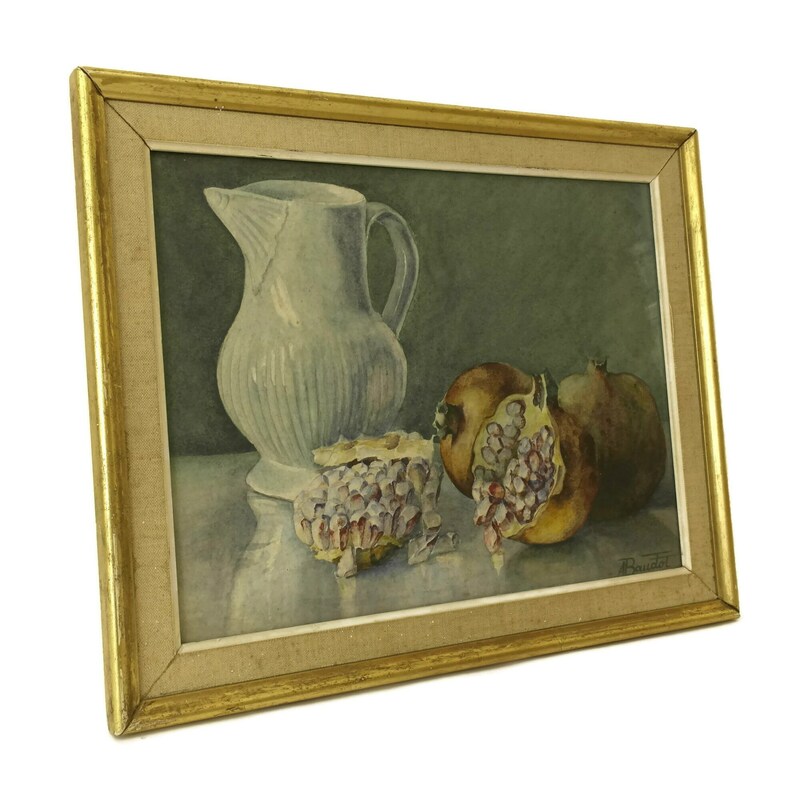 Image Size: 13.5" Wide x 10" High (34 cm x 26,5 cm). 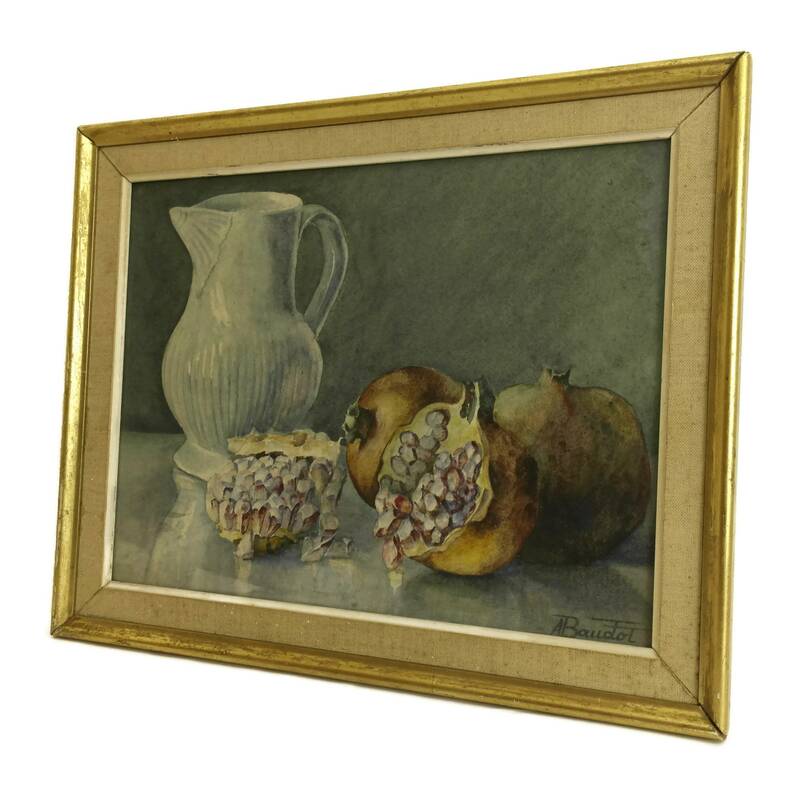 The still life painting is in very good condition with some wear and signs of age the frame.